Los Angeles: With only 9 months left on probation, Richard Mendoza was not going back to prison. When the the female officer told him to get out of the car, he knew the police would discover his pistol. Mendoza also knew that surprise was on his side so he decided to take the chance. Video then shows Mendoza pulling out a pistol and shooting her in the leg. He then turns to shoot at her partner, Officer Miguel Alarcon, over the car. However, Officer Alarcon quickly fires striking Mendoza in the head and torso. Mendoza later died at a hospital. Police records show that Mendoza was a gang member and had previous convictions on drug and weapons charges. Mendoza indicated during the verbal exchange with the female officer that he had nine months left on probation at the time of the shooting. Mendoza likely attacked the officers hoping to escape rather than be arrested and returned to prison for charges of a felon in possession of a firearm. 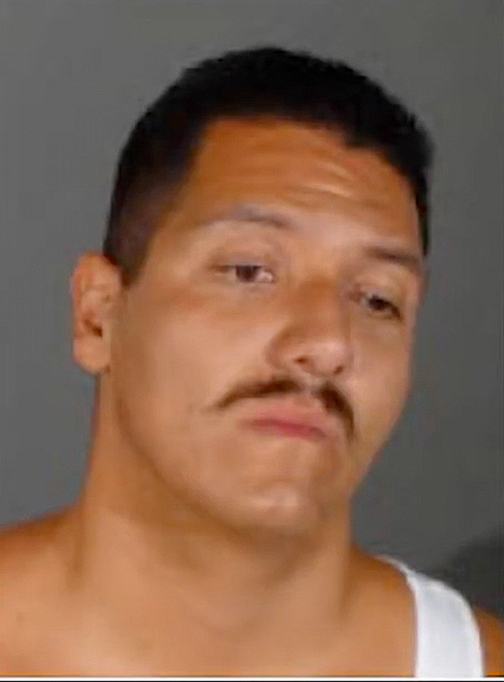 In the video you can see Mendoza glancing at Officer Alarcon out of the corner of his eye just before he exits the car and shoots the female officer. Mendoza was likely trying to confirm the male officer’s position in preparation for engaging that officer. You can see Mendoza’s pistol on Officer Alarcon’s body cam video as Mendoza exits the vehicle. The female officer’s body cam shows Alarcon glancing away at just that moment—understandable if unfortunate. Officer Alarcon was simply maintaining situational awareness of their surroundings. I believe it was the latter. Officer Alarcon fired his first shot in 0.72 seconds after Mendoza’s shot which leads me to believe that he saw and reacted to Mendoza’s pistol. The car dashcam video shows Alarcon dip his shoulder in a manner indicative of drawing his pistol an instant before Mendoza shoots the female officer. The dashcam and Officer Alarcon’s body cam both show that he had started lateral movement to his left at the instant of Mendoza’s shot. After he shoots the female officer, Mendoza turns and aims his pistol where he likely believed Alarcon was still standing; however, Alarcon had moved. Video analysis does not show Mendoza firing a second shot and I believe not seeing Alarcon where he expected to see him caused momentary hesitation. In any event, it is likely that Officer Alarcon’s first shot strikes Mendoza before he can fire. The video shows Mendoza beginning to fall 0.5 seconds after Alarcon’s first shot and Mendoza continues falling until he hits the pavement. Alarcon’s second shot ricochets off the top of the car and may not have hit Mendoza. What can we learn from this incident? The person who takes the initiative gets to start the fight—all they require is decisiveness, marksmanship, and the will to win. Mendoza had the initiative in this fight and his surprise attack immediately dropped the female officer. Officer Alarcon in this incident faced a reactive event where the bad guy was already preparing to shoot him. Studies and countless officer involved shooting videos have shown that the initial reaction of many officers (and private citizens for that matter) who are facing a deadly threat is to stand flat-footed, draw, and try to return fire—this is how most departments train their officers—stand and deliver. That is also what square range practice and many “shooting courses” typically teach. However, Officer Alarcon did not employ the typical stand and deliver tactic, but rather he dynamically moved off the “X”, drew his pistol, and fired before Mendoza could fire at him thereby ending the gunfight. * The Los Angeles Police have not released any accounts of the incident from the officer’s perspective; so some of my analysis is educated guess.